If you aren't satisfied with Unity's approach, with the Launcher locked at the left screen edge, lacking the ability to minimize windows by clicking on their respective icons, Avant Window Navigator is yet another alternative for you. 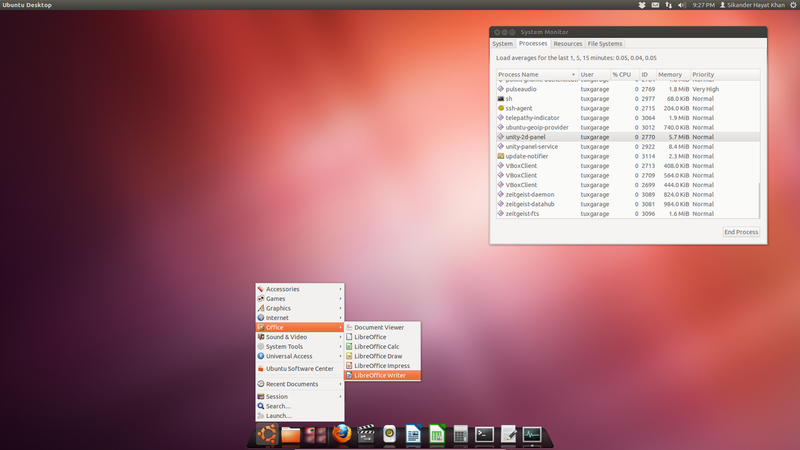 It would sit at any screen edge you want it to and would behave quite familiar, just like things used to be in Gnome 2.x. If you've already tried running AWN in Ubuntu Precise and Oneiric and aren't that satisfied with the outcomes, the easy-to-use script attached to this post might well sort out most of the issues you faced. Primarily, there are two approaches for running AWN in Ubuntu. 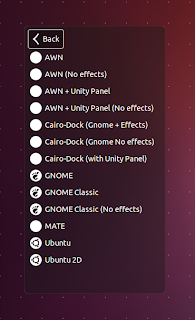 The first one is to add AWN to the Startup Applications and disable the Unity Plugin in CCSM, but that's not too great of an idea, because this way you would be deprived of your original Unity session. The other, and more sensible, approach is to create a custom session for AWN. While AWN can run as a standalone dock and can hold all the indicators, a notification area, etc., I would recommend to run the Unity 2D Panel along with it, so that you are not deprived of the Global Menu at least, although there won't be things like HUD, Lenses or Quicklists in this session obviously, as the former require the Dash functionality and the latter the Launcher, of course. To make the installation and setup process as easy as possible, Krytarik has created an easy-to-use script. You just need to download and run it and it would automatically install and set up AWN in the best possible way, including some default settings and, if needed, fixes, and would create the necessary files for both the sessions and the before mentioned stuff. As indicated above, running the script would sort out a couple of issues, including duplicate titlebars of maximized windows in 'AWN + Unity 2D' sessions, the by default non-working Indicator Applet and the broken 'Session' sub-menu in the Cairo Menu applet. And it would also offer to install Synapse (an alternative to the Alt + F2 run dialog as well as the Dash) as well as Unity 2D Panel if any of these aren't installed already. It is strongly recommended to install at least the former, as it also tends to be a convenient life-saver in a number of possible occasions and especially when needing to restart AWN in any of the added sessions! If installed, it would add Synapse to the Startup Applications straight away, so that it is accessible already right after your next login, whether that is in to one of the newly added AWN sessions or not - by default, you can access it by pressing 'Ctrl + Space'. The script works with all the latest three Ubuntu versions, Precise 12.04, Oneiric 11.10 and Natty 11.04, regardless that some of the additional fixes mentioned above are only needed for the former two. Once the installation is finished, you can log out and choose any of the 4 newly created AWN sessions from the session options on the login screen. 'AWN' and 'AWN (No effects)' would log you in to standalone AWN sessions with Compiz or Metacity as the window manager, respectively. 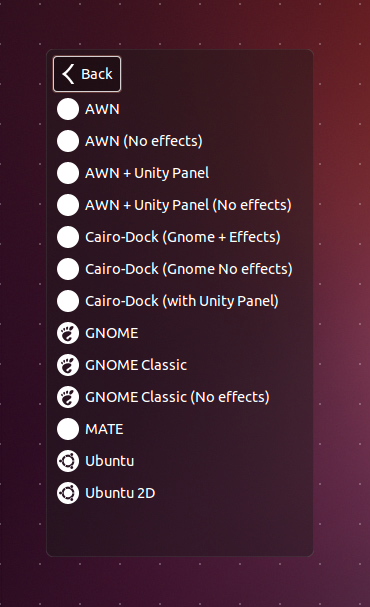 The 'AWN + Unity Panel' and 'AWN + Unity Panel (No effects)' session options would add the Unity 2D Panel to these general setups. If your machine is not capable of running Compiz, you would be automatically fall back to the corresponding Metacity session. The Task Manager applet doesn't manage to remove its initial Plus icon upon finishing starting up (bug report) - you can easily work around that for now by simply drag & drop'ing onto it any launcher you already have in the applet. Any changes you do to AWN via its settings manager aren't taking effect straight away (no specific bug reports found so far, neither any related results on a web search) - unfortunately, to 'work around' that for now, you can only restart AWN after having done some changes you want to have applied immediately; quite easy, though, if you either have a desktop icon for launching AWN or are using Synapse, as recommended above. But it's definitely a pain when you are trying to tweak some of its many appearance settings! Update 11/22/2012: Two new reports were just added to the main thread on the Ubuntu Forums regarding the 'Plus icon' issue, fostering that manually installing the package "libdesktop-agnostic-cfg-gconf" (click to install), as mentioned in the comments #21 and #22 on the bug report linked to above, might be the easiest way to solve the issue, and I might presume, the other issue mentioned above as well. I'll try to test that in the next days, and if it indeed solves at least one of those issues, and makes sense in all possible scenarios (particularly regarding installed session options), add it to the installer script. installing "libdesktop-agnostic-cfg-gconf" has no negative effect on the overall installation. Therefore, I have included it in the installer script now, so that it is installed if it isn't already - so just forget about all the crap above now!